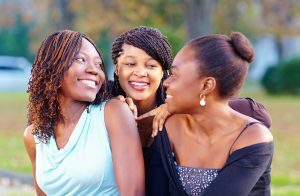 With more than 500,000 new patients diagnosed every year and 250.000 deaths recorded annually, cervical cancer is the second most common cancer among women worldwide and approximately 70 percent of cervical cancers occur in Africa. Cervical cancer develops from a pre-cancer stage called Cervical intraepithelial neoplasia (CIN), also known as cervical dysplasia. CIN is a potentially premalignant transformation and abnormal growth (dysplasia) of squamous cells on the surface of the cervix. The major cause for CIN is a chronic infection of the cervix with the sexually transmitted Human Papilloma Virus. There are many types of HPV, some of which lead to cervical dysplasia or cancer, while other types of HPV can cause genital warts. 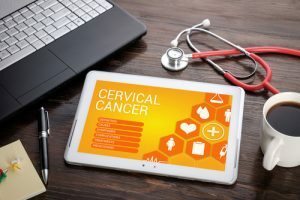 CIN is not cancer and is usually curable, however according to the National Institutes of Health, while mild cases of CIN may go away without treatment, severe untreated cervical dysplasia may change into cervical cancer. Most often, cervical dysplasia is caused by the human papillomavirus (HPV). HPV is a common virus that is spread through sexual contact. German medical devices maker WISAP Medical Technology GmbH, which has for more than 50 years been focused on laparoscopic and hysteroscopic gynecology, notes that treatment of CIN partly depends on whether it is grade 1, 2 or 3. They note that often cells showing CIN 1 will return to normal without any treatment, but that all doctors and researchers agree that CIN stages 2 and 3 should be treated, and the objective of CIN 2 and 3 treatments for is to remove the abnormal cells while causing as little collateral damage to healthy tissues as possible. Together with users from the respective medical fields, WISAP has developed medical instruments and systems which enable a minimally invasive procedure. 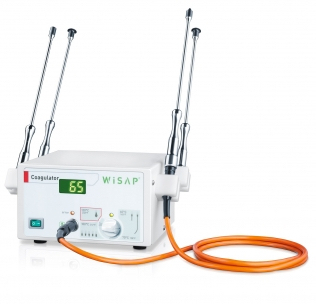 The WISAP COLD-COAGULATOR is an electrothermal device for prevention of cervical cancer exclusively used for ablation of cervical lesions by “boiling” of cervical tissue. WISAP’s new line of therapy probes is also covered with a special coating which holds metalorganic additives with an ionizing effect. The coating protects the thermo-probe surface from bacteria, viruses and fungi — the full effect is reached after six hours. The coating is an improved material, which has a lower adhesive effect on cervical tissue during treatment and is more resistant to scratches and wear. The probe head follows the shape of the cervix to guarantee a good contact for maximum heat transmission. WISAP observes that the contact surfaces of most existing ablative therapy systems are designed for small lesions, so in order to treat large lesions, it is usually required to overlap burns which extend the treatment time considerably. 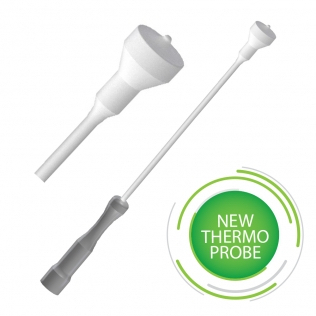 By contrast, WISAP’s new therapy probe is specifically designed for treating larger lesions. The probe has a 20 mm diameter and covers most lesions completely, reducing potential complications and treatment duration significantly. A meta-analysis by investigators at the Department of Human Genetics at McGill University in Montreal, Quebec, Canada, and the Early Detection and Prevention Section Screening Group at the International Agency for Research on Cancer in Lyon, France, published in the British Journal of Obstetrics and Gynaecology (BJOG), shows that the cold coagulation treatment method for CIN reaches equally high treatment success as other known methods (LLETZ / Cryo / Laser), but combines it with unique advantages by being a fast procedure offering lower pain scores, lower bleeding events and lower watery discharge. The objective of the study, entitled “Meta-analysis of the efficacy of cold coagulation as a treatment method for cervical intraepithelial neoplasia: a systematic review“ (BJOG Volume 121, Issue 8, pages 929–942, July 2014; DOI: 10.1111/1471-0528.12655), coauthored by L. Dolman, C. Sauvaget, R. Muwonge, and R. Sankaranarayanan, was to provide a systematic review of cold coagulation efficacy and acceptability for CIN treatment through meta-analysis of clinical reports and a randomized control trial. The coauthors note that despite reports of efficacy against all grades of CIN (CIN1-3) and acceptability, cold coagulation has progressively been replaced by excisional methods, such as LLETZ, since the 1980s, and was absent from the recent Cochrane review on CIN treatment. They speculate that low rates of cold coagulation treatment use may stem from limited availability, as only a single manufacturer exists at present. 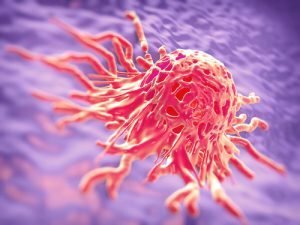 The meta-analysis main findings among 4569 CIN patients treated with cold coagulation was that a summary proportion of 96 percent and 95 percent cured of CIN1 and CIN2-3 disease, respectively, the investigators observing that side-effects and adverse effects were infrequent, and fertility was not impaired. They conclude that cold coagulation CIN cure rates were comparable to those of other excisional and ablative methods, that cold coagulation is indicated for all grades of CIN, is safe, quick and acceptable, and may be of particular relevance for use in resource-limited settings such as Africa. The investigators note that because relatively few studies (and almost no randomized control trials) have analyzed cold coagulation efficacy, cure rates should be further assessed in large cohorts with consistent, long-term follow up of patients. In particular, they say research is needed on cure rates achievable in resource-limited settings with mid-level treatment providers, where patients have never been or are not often screened. Overall, they say their systematic review has demonstrated that cold coagulation may be indicated for all grades of CIN, and is safe, quick, and acceptable as an outpatient procedure, and may be of particular relevance for use in resource-limited settings, when access to cryotherapy gas is limited. A 1991 study entitled “Effective destruction of cervical intraepithelial neoplasia (CIN) 3 at 100C using the Semm cold coagulator: 14 years experience“ by Helen K. Gordon and Ian D. Duncan of the University of Dundee Medical School Department of Obstetrics and Gynaecology at Hinewell’s Hospital in Dundee UK reported that a total of I628 women with CIN 3 treated with the Semm cold coagulator between 1975 and 1989 was followed primarily by cytology. The standard suitability criteria for ablation were adhered to except that patients were treated at their first visit when the colposcopist expected that the diagnosis would be no worse than CIN 3. Gordon and Duncan found that overall 97% of the women were treated at their first visit, and in 30 women (2%) the histology was glandular or worse than expected, but 22 subsequently showed no persistent cervical disease. Follow-up was achieved for 87% at 10 years. In actuarial terms they report a primary success rate of 95% at 1 year and 92% at five years — similar for all age groups. The authors note that repeat cold-coagulation for persistent/recurrent CIN 3 was less successful and not advised. The outcome for 226 pregnancies established after treatment is known, with rates for miscarriage, preterm or operative delivery not increased. They also cite a survey by the British Society for Coiposcopy and Cervical Pathology (reported by H. Kitchener at their Annual Scientific Meeting in 1990) that found the cold coagulator second only to the carbon dioxide laser as the most commonly used method, but in marked contrast to laser treatment, very little had been published about cold coagulation, which they note despite its name uses temperatures of up to 120C. They report that the apparatus was initially introduced by Scmm in 1966 for destruction of benign cervical conditions, an its applicability was tested in the cervix clinic of Ninewell’s Hospital and Medical School in Dundee in three patients in I975 and by 1990 was the standard form of treatment at the hospital for all CIN suitable for destruction — the longest running series in the United Kingdom. Gordon and Duncan reported that a single cold coagulation treatment was effective in restoring the cervical cytology to normal in 1518 of 1628 (93%) women followed-up, the primary success rate being similar in various age groups. 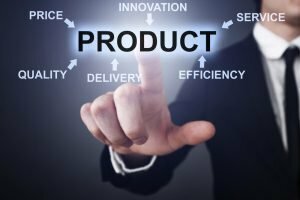 Expressed in actuarial terms the primary success rate fell from 96% at 4 months, through 95% at one year, 94% at 18 months, 94% at 2 years, 93% at 3 years, 92% at 4 years, 92% at 5 years to 91% at 6 years and thereafter. 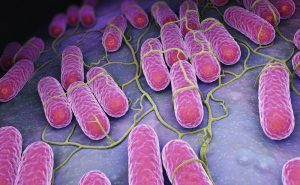 They suggest that most recurrences were probably persistent disease detected in the first I8 months of follow-up. They also note that due to the extremely short duration of the treatment, most women find the associated discomfort tolerable, that 1550 of the 1628 women studies had no anesthesia whatsoever, and post-operative discharge and bleeding not a problem for most patients. Fertility and the outcome of subsequent pregnancy are not adversely affected. Overall, Gordon and Duncan concluded that their carefully audited experience over many years had convinced them that cold-coagulation is the most cost effective method for the destruction of ClN 3, and that cold-coagulation of CIN 3 at 100C as performed by them was found to be as effective as any other CIN treatment, calling into question the need for more expensive therapies. 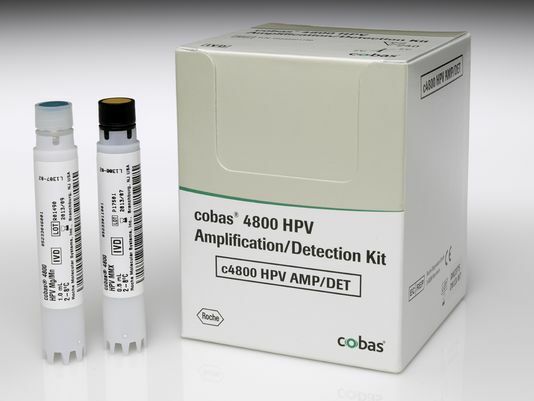 Tagged CIN, Cold coagulation therapy, human papilloma virus, WISAP Medical Technology.